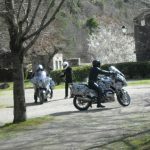 Last month, we published spy photos of what appeared to be some prototypes of the 2014 BMW R1200RT sport-tourer undergoing testing somewhere in southern France. 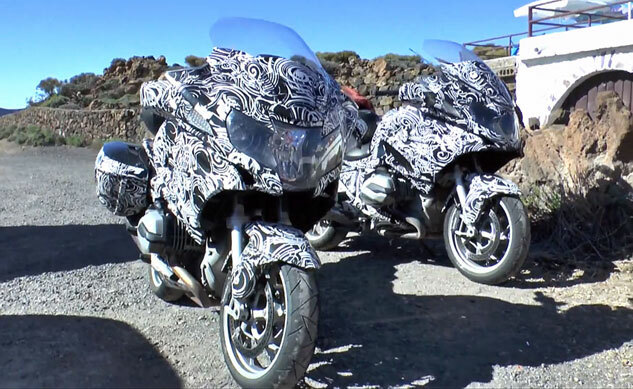 Unfortunately, the photographs were captured from far away, preventing us from seeing many details apart from the new water-cooled Boxer engine from the new GS and what appears to be the adaptive headlight from the K1600GT and GTL. 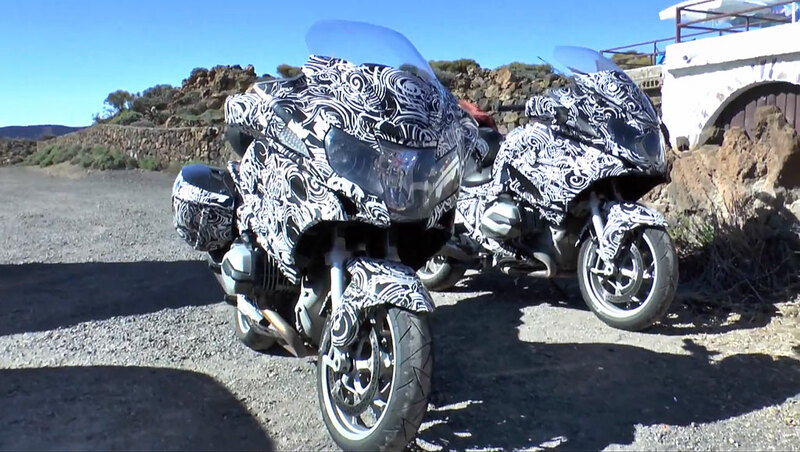 Thankfully, a new video has surfaced, providing an up-close look at the new R1200RT. 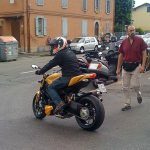 The German blogger who captured the video calls these new models the R1200GT, which may turn out to be the name of the new model. BMW may opt to use this new name to create a brand connection with the K1600GT as the two models share the same headlight design. 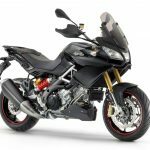 At EICMA, BMW revealed a new F800GT which replaces the F800ST in BMW’s 2013 lineup, so it’s conceivable BMW would change another model’s designation to be another “Grand Tourer”. The RT is the only current BMW touring model to use “Reise-Tourer” (German for “Travel-Touring”) designation, so changing it to GT would bring it in line with the other models. 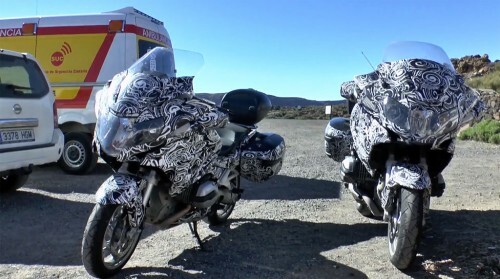 On the other hand, BMW may do exactly what it did with the new R1200GS and keep the existing R1200RT name. Back to the video, we again see the new model uses the “precision cooling” liquid-cooled engine from the new R1200GS. Despite the camo, we can see the fairing has undergone some changes, as has the rear lighting assembly. The exhaust has moved to the right from its previous position on the left side of the current R1200RT. A close-up of the instrument panel reveals a new layout similar to that of the K1600GT with what should be a TFT color screen with a GPS navigation device directly above the instruments. 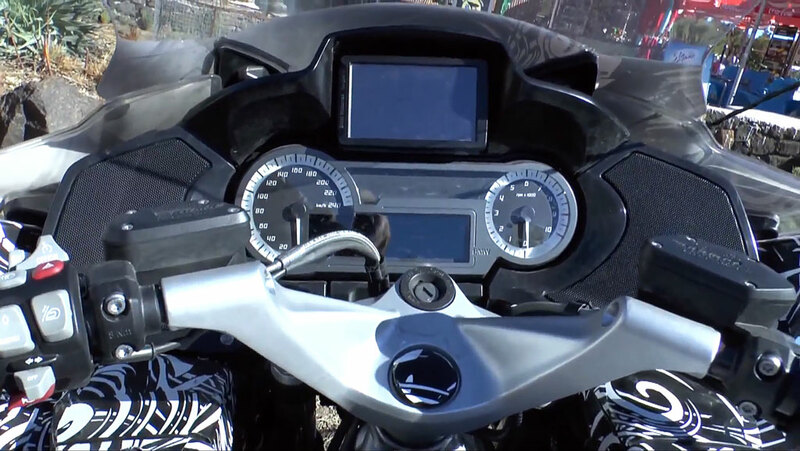 The left handlebar also sports the telltale dial of BMW’s multi-controller for the audio system which happened to have been first introduced with the R1200RT. 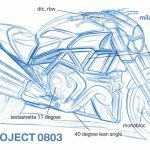 We expect more news to come in the months ahead leading up to EICMA in November when BMW is expected to officially present the new R1200GT/RT.